The K&M 85040 Thread Adapter is used to adapt 5/8" microphone mounts onto 3/8" studs. 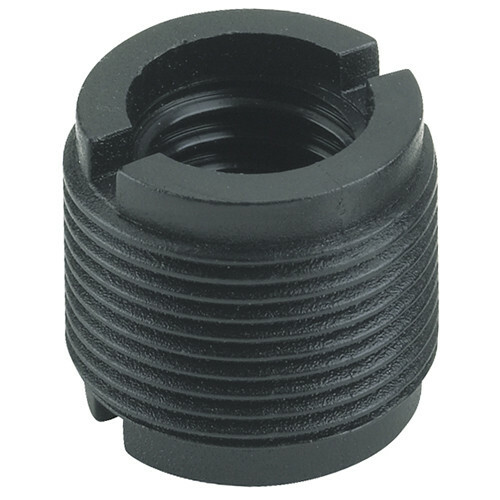 Box Dimensions (LxWxH) 0.5 x 0.4 x 0.4"
85040 Thread Adapter is rated 3.0 out of 5 by 2. Rated 4 out of 5 by Paul K. from Not what I was hoping for. I was hoping that this would help me adapt the Konig&Meyer mic stand that I bought to a standard US mic clip. It was not the proper size. My fault for not checking the size.